Protects your life purpose for this incarnation. Aids in grounding your life purpose into earth plane reality and manifesting it on the earth plane. Aids in keeping your agreed upon, pre-life karmic contracts and reinforces remembering the reasons for your current incarnation. Helps to honor your promises, life agreements and path. Black Tourmaline has a Trigonal crystal system and is in the mineral class of ring silicate plus oxide. While it comes in many colors and in various combinations, the black variety is many times called 'shorl'. Tourmaline, which is formed magmatically, consists of varying mineral forming substances but always displays the same crystal structure within its seven basic varieties. The black variety can be very brittle if formed quickly. When embedded in rock they have a higher silicate content, and nicely formed crystals are found, but these can still be fractured apart with much less effort than the colored varieties. 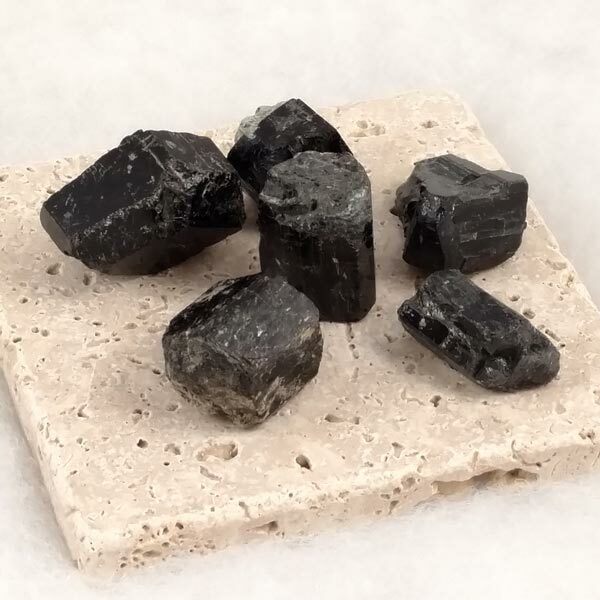 As with most gemstones, Black Tourmaline can be worn on the body and when needed, placed on areas of pain where it's most beneficial (results are fairly quickly noticed when used in that manner). Black Tourmaline provides neutrality, a relaxed attitude and combines body, mind and spirit into a harmonious whole. It also offers us protection from spirits on the darker side who do not understand universal love. 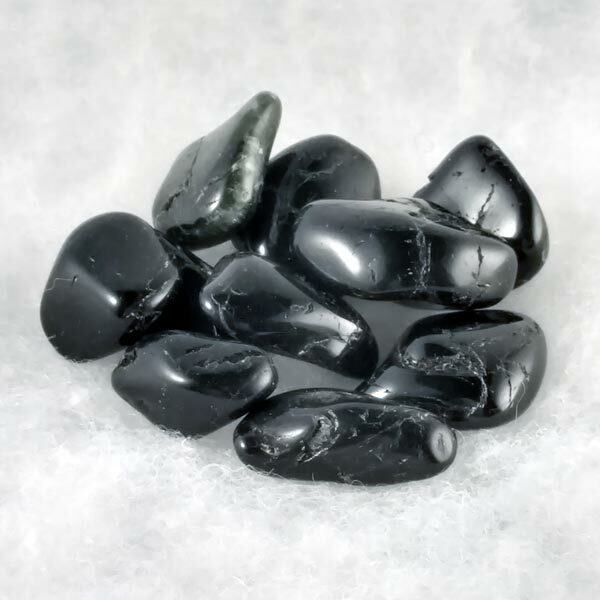 Black Tourmaline discharges tensions and protects us from negative thoughts. It is also a great stress reliever as it provides us with emotional stability which clams nervous thoughts. 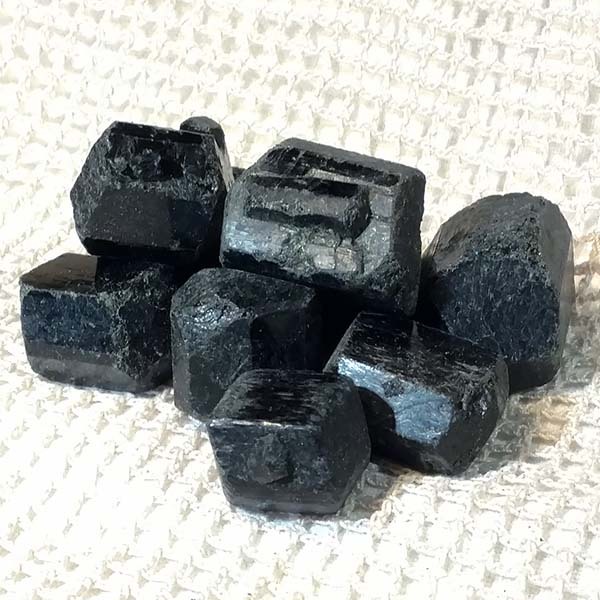 Black Tourmaline can stimulate clear and logical thought processes. It can assist us in recognizing mistakes and in analyzing them fairly objectively. The change that is brought about comes not out of guilt, but a knowing of what we do not want to repeat again. Black Tourmaline has an awesome pain relieving effect and can conduct body energy. It can stimulate healing and can assist in the neutralizing the influence of radiation. It has also been used to stimulate reflex points in the lower back which aids in treating arthritis, anxiety and balancing of the adrenal glands. Black Tourmaline has a special affinity with those who are in the sign of Capricorn, but is very beneficial to all signs. It carries a Receptive Energy, its Planet is Saturn, and its Element is Earth. Black Tourmaline has been known since antiquity, but may have been equated with other stones at certain times. Generally it is most often used for grounding purposes or to represent the earth in spells or intentions relating to earth. Since it seems to absorb negativity, many have used it as a form of protection and have specifically charged it with that purpose through visualization.